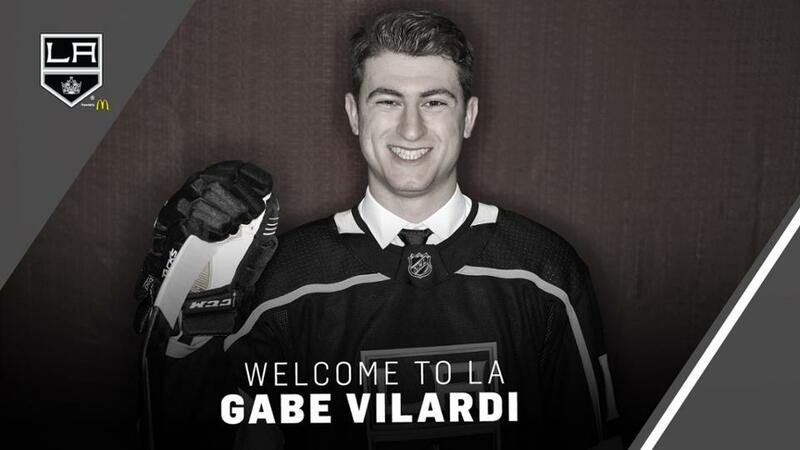 The Los Angeles Kings have signed forward Gabe Vilardi to a three-year entry-level contract, Kings Vice President and General Manager Rob Blake announced on March 1. 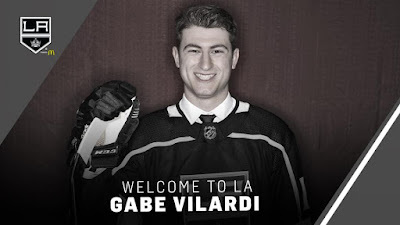 The 18-year-old Vilardi (born on Aug. 16, 1999) is a 6-3, 201-pound native of Kingston, Ontario, who has appeared in 134 career regular-season games in the Ontario Hockey League with Windsor and currently with his hometown Kingston Frontenacs. Vilardi has totaled 142 points (60-82=142), a plus-27 rating and 36 penalty minutes. He has also added 10 points (3-7=10) in 12 postseason games in the OHL. Following the 2017 playoffs when with Windsor, his team earned a berth in the Memorial Cup as the host team. The Spitfires went unbeaten on home ice, and won the Memorial Cup. Vilardi’s seven assists in the tournament (0-7=7) were tied for second among all players. Two of his assists came in the Championship game against the Erie Otters, where he earned the second star of the night. A first-round (11th overall) selection of the Kings at the 2017 NHL Draft, Vilardi has appeared in 23 games this season with Kingston, posting 43 points (14-29=43), a plus-21 rating and 10 penalty minutes. He missed the first half of the season due to injury.